Shipyard Brewing Co./Logboat Brewing Co.
Maine's largest brewery says it wants to build a "bretwel" — a hotel catering to lovers of craft beer. The hotel project is a part of a large $65 million redevelopment plan by Shipyard Brewing Co. and the Bateman Partners. The Portland Press Herald reports the plan was made public Tuesday. The proposal reflects the city's reputation as a destination for craft beer fans, renovating Shipyard's brewery building and making way for an adjoining 105-room hotel. Shipyard President Fred Forsley says the brewtel would offer patrons a tasting room on the ground floor, and possibly in-room keg service. 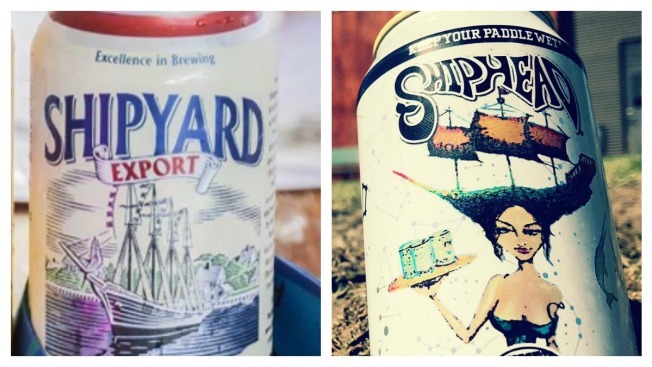 Shipyard plans to scale back its bulk beer production at its Portland brewery and focus on experimental pilot beers and barrel-aged beers.